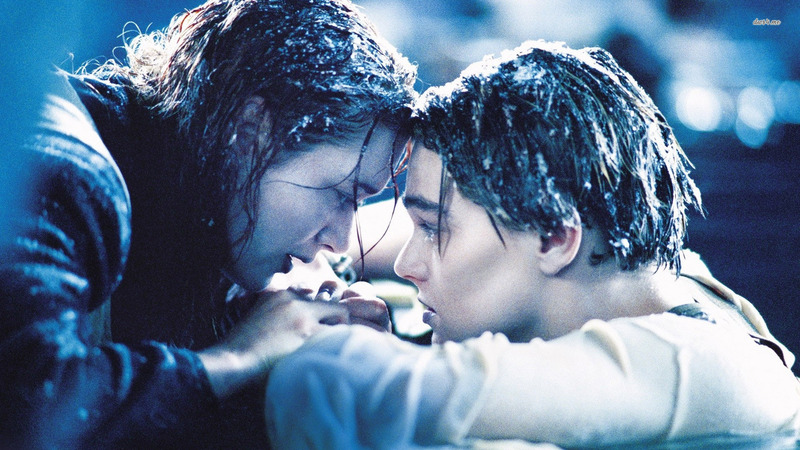 Don’t you think that Rose could have made room for Jack on that door? I think we spend more time and attention on love than any other single thing. I’m pretty sure love is the biggest, most popular topic in all of pop culture. Love is pretty big in the Bible, too, and in being people who follow Jesus, or are trying to follow Jesus. Love wins! and love hurts! And love is patient, love is kind, it isn’t jealous, it doesn’t brag, it isn’t arrogant, it isn’t rude, it doesn’t seek its own advantage, it isn’t irritable, it doesn’t keep a record of complaints, it isn’t happy with injustice, but it is happy with the truth. Love puts up with all things, trusts in all things, hopes for all things, endures all things. Love never fails. Love fills our songs, our books, our movies. It fills our heads, our hearts, our minds, our memories, our dreams. I want to know what love is! I want you to show me! All the efforts to portray, express, describe, illustrate, love in culture and pop culture share this one thing in common: they are all a lesser version of love than we have and know in Jesus. And some come closer than others. Some, you and I would argue, don’t come very close at all. Some – maybe much – of the love we find in pop culture is barely love at all. Some of it is a flat-out perversion of love. To be fair, though, a lot of what we find among ourselves is barely love at all, and some of it is a flat-out perversion of love. Love is patient: are you patient with your children? your parents? your spouse? Love is kind: are you kind to your spouse? your parents? your children? Parenthetically, those jokes you tell to and about your spouse that are bitter and cynical about an entire gender? those really aren’t very funny, and they certainly are not kind. Love isn’t Jealous: are you jealous of your wife or husband? Need I go on, or do you get the idea? Remember, we are called to engage culture. The best way we can engage pop culture on the matter of love is to model and practice a love that looks more like Love. God is love. The more our love reflects God’s love, the better our chance to actually have something to say to the cultures around us. And, I believe, the more we reflect God’s love in our own love, the more we will earn the right to be heard. Now, I suppose there are times that saying “You listen to me” is a good rhetorical tool. But honestly, I believe that if I have to keep reminding you to listen to me, I’m not doing a very good job of speaking. We have to earn the right to be heard. Are we, as followers of Jesus, earning the right to be heard by the world around us? For years – for centuries – Christians did not have to earn the right to be heard. But this is no longer true. If you and I want to share the good news of Jesus, and if we want other people to care enough to listen, we have to earn the right to be heard. There is no better place for us to start than to love, and to reflect God’s love for us and for the world in our lives, in our relationships, and in our community. And what does God’s love look like? We see it in Jesus, we hear it in the familiar words of 1 Corinthians 13 that were so beautifully read for us this morning. found grace in the wilderness. and you will be rebuilt, virgin Israel. farmers will plant and then enjoy the harvests. will gather them from the ends of the earth. a great throng will return here. while they pray, I will bring them back. and on smooth paths so they don’t stumble. Sometimes we present a gospel (that a word for “good news” that we stole from Roman culture about 2000 years ago) that comes across as more about bitterness and rules and pressure. But God says: I will turn their mourning into laughter and their sadness into joy; I will comfort them. How do you understand God’s love? How do you experience God’s love? Culture is what we make of the world, and culture is about truth, or at least a search for expression of truth. Jesus IS truth, so we must engage culture. Love is ubiquitous in Pop Culture, or at least a search for love, or expressions of and about love. God IS love, so we must engage culture. Though we sometimes think that God has put all the eggs of the salvation of the world in the basket called “church,” this really isn’t so. In every culture of the world, one can find actual, real truth. And all truth is God’s truth. In every culture of the world, one can find love. And real, true love comes from God. You and I have the opportunity to help others know true love, real love, God’s love. And, like grace and truth, as we engage the world with what we know in Jesus and what we learn from following Jesus, we will find that love is before us in the world. Julio Diaz Thank you to StoryCorps for this story! So I got my wallet back and I gave, you know, I gave him twenty dollars for it. You know, I figure, uh, maybe it’ll help him – I don’t know. And when I gave him the twenty dollars, I asked him to give me something in return – which was his knife – and he gave it to me. I don’t know, I figure, you know, you treat people right, you can only hope that they treat you right. It’s as simple as it gets in this complicated world. I don’t know anything about Julio Diaz’s religious faith. But I know, from that story, that Julio knows something about real love – the kind of love that comes from God. Now I’d like you to meet Mary Johnson and Oshea Israel. First, let me tell you how they met. He killed her son. In 1993, Oshea Israel was a teenager in Minneapolis, Minnesota. One night at a party Oshea got into a fight, which ended when he shot and killed Laramiun Byrd, Mary Johnson’s son. Oshea has been arrested, tried, and convicted. He has finished serving his prison sentence for second-degree murder. Here is a conversation between them. Oshea Israel and Mary Johnson Thank you StoryCorps for this story! Mary Johnson (MJ): You and I met at Stillwater Prison. I wanted to know if you were in the same mindset of what I remembered from court, where I wanted to go over and hurt you. But you were not that 16-year-old. You were a grown man. I shared with you about my son. Oshea Israel (OI): And he became human to me. You know, when I met you it was like, ok, this guy, he’s real. And then, when it was time to go, you broke down and started shedding tears. The initial thing to do was just try and hold you up as best I can–just hug you like I would my own mother. MJ: After you left the room, I began to say: “I just hugged the man that murdered my son.” And I instantly knew that all that anger and the animosity, all the stuff I had in my heart for 12 years for you–I knew it was over, that I had totally forgiven you. OI: As far as receiving forgiveness from you–sometimes I still don’t know how to take it because I haven’t totally forgiven myself yet. It’s something that I’m learning from you – I won’t say that I have learned yet – because it’s still a process that I’m going through. MJ: I treat you as I would treat my son. And our relationship is beyond belief. We live next door to one another. OI: I find those things funny because it’s a relationship with a mother for real. MJ: Well, my natural son is no longer here. I didn’t see him graduate. Now you’re going to college. I’ll have the opportunity to see you graduate. I didn’t see him getting married. Hopefully one day, I’ll be able to experience that with you. OI: Just to hear you say those things and to be in my life in the manner that which [sic] you are is my motivation. It motivates me to make sure that I stay on the right path. You still believe in me. And the fact that you can do it despite how much pain I caused you–it’s like amazing. MJ: I know it’s not an easy thing, you know, to be able to share our story together. Even with us sitting here looking at each other right now, I know it’s not an easy thing. So I admire that you can do this. OI: I love you, lady. MJ: I love you too, son. God’s love is here. We see it best in Jesus, but we see it throughout the Old Testament. We even see it in the world around us. Can the world see it in us? Can your family see this love in you? If not, now is the time. Step into God’s love: the love that was there for you and for me from the foundation of the world. The love that never fails, is patient and is kind. The Love that puts up with all things, trusts in all things, hopes for all things, endures all things. The love God has for you, for me, and for everyone in the world. Step into God’s love. Ask for it, accept it, receive it, then start learning to live in it, to share it, to grow in it, to pass it on. The world around us wants to know what love is. They want you to show them!